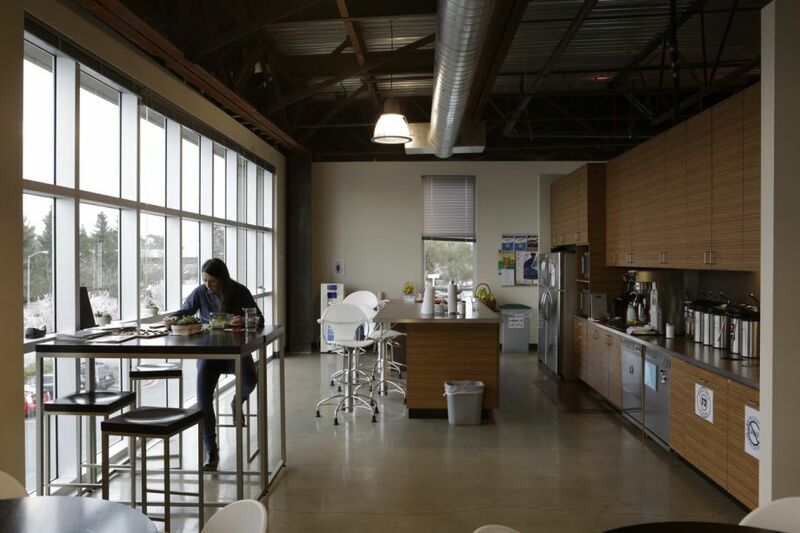 SF GATE (San Francisco Chronicle) has a segment in their business column each Monday called Office Space which gives readers a glimpse inside a Bay Area company. This week they featured Petaluma’s Camelbak. The following content was contributed by their staff writer Julie Balise, a San Francisco Chronicle Staff writer. Also if you missed a previous interview of CamelBak’s CEO on Behind The Brand I have been waiting to post this as well, because we have seen it come up in our searches again this morning. On November 14, 2014 we reported on CamelBak was recognized by GreatLists at one of the healthiest companies to work for in American. In 2013 Outside Magazine listed them in the 100 Best Places To Work. As suggested by the headline, CamelBak is obsessed with hydration. So much so that their office is laced with water molecules. Their environment also includes “clouds” or sound panels to absorb noise from their open office space. The company also made their office green friendly and by doing so it became a certified Leadership in Energy & Environmental Design (LEED) building. Their hallways are like shopping displays showcasing their their best selling products with meeting rooms and retractable walls to create even more open space when needed. Their cafeteria has a wall of windows giving it natural light with views of Shollenberger Park. The cafeteria also offers the employees healthy snacks, and yes, you guessed it, water coolers for them to refill their CamelBak water bottles. While their products are manufacturer in Mexico, the design and test them in Petaluma. They have an open lab space so the other employees can see how their how their products work. In the testing area they also have temperature chambers to determine how long water would freeze in their bottles and effects also from heat and pressure.